Social Work is well known for being a field for people who care. While the news is chalk full of pressing social, economic, and environmental concerns, social workers are rolling up their sleeves and getting to work rather than sticking their heads in the sand. Building on that truth, we have put together a list of jobs that are particularly important in this day and age. In 2016, the American Academy of Social Work and Social Welfare unveiled their “Grand Challenges Initiative“, highlighting 12 critical social issues. This dynamic agenda focuses on improving individual and family well-being, strengthening the social fabric, and helping create a more just society. Using this framework, we are highlighting 50 important social work jobs that are responding to the 12 Grand Challenges provided by the AASWSW. We hope this list inspires you to take action today! Behavioral health therapy and counseling is one of the fastest-growing medical sectors in the 21st century. It’s challenging work because many people need help with changing their patterns of behavior. Schools, in particular, are grappling with the psychosocial needs of their students. If somebody’s behavior poses a danger to themselves or other people, effective change can be a matter of life and death. Behavioral health specialists grapple with these challenges every day. They observe, assess and provide treatments that aim to improve individual health and well-being by confronting behavioral issues, which in children can affect learning. Some unwanted behaviors that a behavior therapist may address include: Inability to focus; Eating disorders; Substance abuse and addictions; Panic attacks; Compulsions and obsessions; Social anxieties; and Violent tendencies. Behavioral therapists teach their patients how to modify their behavior and cope with mental and emotional disorders. They work with patients to limit or eliminate negative behaviors and substitute them with positive alternatives. Their work begins with an analysis of the patient’s behavior. Once they have identified problem behaviors, they use appropriate therapeutic techniques to address them and ultimately improve the patient’s health and well-being. If one technique doesn’t yield satisfying results, they will try other approaches until they find an effective solution. Behavior therapists often work one-on-one with their patients, though in some cases they may operate in group settings. Mental health clinics, assisted living facilities, academic institutions, private medical practices and hospitals offer growing employment opportunities for behavioral therapists. Community health workers (CHWs) are frontline public health workers who have a close understanding of the community they serve. This trusting relationship enables them to serve as a liaison/link/intermediary between health/social services and the community to facilitate access to services and improve the quality and cultural competence of service delivery. Community health workers also build individual and community capacity by increasing health knowledge and self-sufficiency through a range of activities such as outreach, community education, informal counseling, social support and advocacy. Community health workers are dedicated individuals who function along a continuum ranging from individual and community development to service delivery and promoting community empowerment and social justice. They often help link people to needed health care information and services. The community health worker serves as a bridge between the community and the health care, government and social service systems. Community health workers work in all geographic settings, including rural, urban and metropolitan areas; border regions; and the Native American nations. Although their roles vary depending on locale and cultural setting, they are most often found working in underprivileged marginalized communities where people may have limited resources; lack access to quality health care; lack the means to pay for health care; speak English fluently; or have cultural beliefs, values and behaviors different from those of the dominant Western health care system. 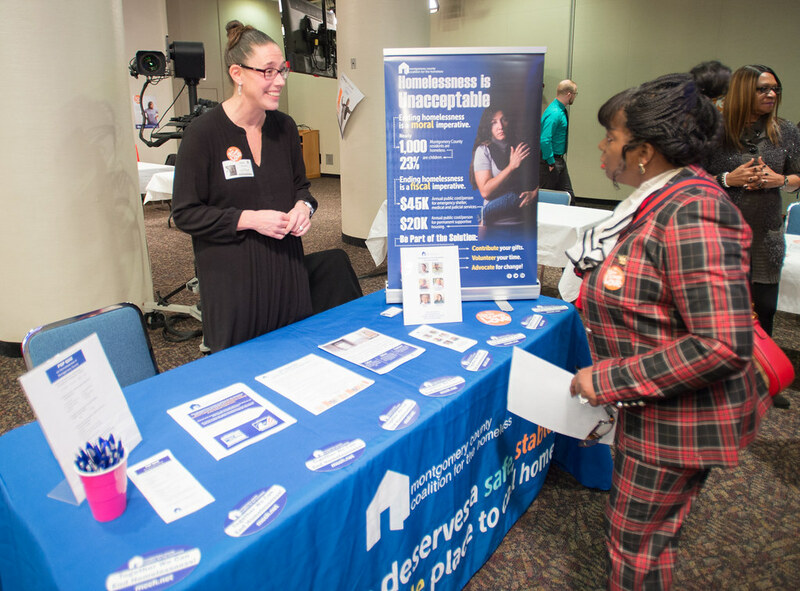 The success of their efforts has caused many government agencies, nonprofit organizations, faith-based groups and health care providers to create paid positions for community health workers to help reduce, and in some cases eliminate, the persistent disparities in health care and health outcomes in underprivileged communities. The organizations benefit by gaining access to information about health care needs in these communities, which they can use to improve the design of health services. School Social Work is a specialized field of practice devoted to school-age children and families in an educational host environment. School social workers wear many hats including truancy officer, case manager, student and parent advocate, student mediator, counselor, and distributor of resources. Typically, they are the only social worker on campus, and so they serve a unique role within their schools. Concerns addressed by school social workers include advocacy, attendance, bullying, need for community resources, coordinating homebound education, homelessness, home visits, suicidality, special populations, students with disabilities, and any other issues that may impede or inhibit students’ academic success. A big part of school social work is connecting students and parents to the outside resources they need to be successful during the school day. Throughout the year you will play a unique role in improving student welfare. One of the most rewarding parts of school social work is helping marginalized or disenfranchised students harness their own educational potential. You’ll find school social workers in a primary or secondary public education setting. Although some at-risk private or treatment schools may employ social workers, these jobs more closely align with medical or mental health social workers. In a larger district, however, school social workers may be assigned to target specific populations, such as special education, dropout prevention, safe and drug-free schools, or kids at risk of homelessness. If you are in a small town or school, you may be the only helping professional on campus, serving as both school counselor and social worker at various times, or you may split your time between several schools. At least once a week, you will collaborate as part of an interdisciplinary team, sometimes called Intervention Team, to identify interventions to help low-performing (behaviorally, socially, or academically) students meet their potential. Foster care social workers help children in the foster care system resolve behavioral, mental, and emotional issues. This often involves helping children deal with feelings of abandonment. Social workers employed by foster care agencies help children become acclimated to foster homes upon pairing them with suitable families. Those in need are mostly neglected, abused and mistreated children who have legally been removed from their parents. A social worker interviews the child and prospective foster parents; he or she also runs an extensive background check. This is exceedingly important since the social worker is ultimately responsible for the welfare of the child. While one can get an entry-level job in a foster care setting with just a bachelor’s degree, it is preferred by many employers for potential hires to have a master’s degree. A master’s degree is required to become a licensed social worker; it also qualifies candidates for higher positions with better salaries in foster care. Enrollees study child placement and protection; they are introduced to home-based services for foster children. In addition, students learn about mental health issues specific to at-risk children. Social workers who are employed as foster care caseworkers play a key role in the foster care system. They are called in when child abuse or neglect has been reported and are present when a child is removed from a home. They determine the best placement option for the individual child, weighing the risks and benefits of returning a child to the home of origin compared to placement with a foster family. They determine if a prospective foster home is a safe environment for foster children and help prepare prospective foster parents for the responsibilities they will assume. Caseworkers also monitor a child’s welfare while in foster care and work with local adoption agencies to find permanent homes for children. In the United States, foster care services are administered at the state level. Each state establishes its own rules for foster care and has its own agencies to process reports of suspected child abuse and neglect. In most states, the state government includes a department of social services that oversees county social service agencies and private foster care organizations. The substance abuse counselor is a mental health counselor specializing in treating patients who have a chemical dependency on drugs or alcohol. Whether counseling addicts or those who fear they will become addicts, a substance abuse counselor works with their client to help them overcome their dependency and become self-sufficient. The substance abuse counselor may also work closely with the family of the client as substance abuse inevitably affects the loved ones of the chemically dependent person. While challenging, the role of substance abuse counselor is one that can be extremely fulfilling. Substance abuse counselors are not able to prescribe medicine or give medical or psychological therapy. Rather they work with the client in an advocacy and mentoring capacity. The substance abuse counselor becomes a key figure in the life of the addict. From helping the client to see clearly the emotional underpinnings of their dependency to helping with more mundane tasks such as helping the client find or maintain employment, the substance abuse counselor works with the client to help them become self-sufficient in life. The family of a substance abuser is often fraught with difficulty, heartbreak and emotional trauma. By helping the family to understand the nature of addiction and its related emotional component the substance abuse counselor can help to shift the families understanding of their chemically addicted family member. By taking a collaborative and empowering approach, the substance abuse counselor can help the family to participate in the healing journey of their chemically addicted family member. For the chemically dependent person, the substance abuse counselor can act as a game changing influence in their life. By helping them to see clearly their patterns of addiction and problem avoidance, the substance abuse counselor can cause a radical shift in consciousness. This kind of empowerment can work to change forever the life course of the addict. From helping the client find employment to helping the addict reconcile with their family members, the substance abuse counselor works as both a mentor and an advocate in the life of the chemically dependent person. This can have a profound and lasting impact on the addict which is nothing short of life changing. A public health researcher is a type of public health professional who is charged with researching all matters of public health. This will mean researching public health trends as well as hazards and different environmental risks, and these researchers provide very important information to other public health professionals and this allows them to do their jobs more efficiently. A public health researcher will conduct research through the analyzing of data as well as lab test results and different noted trends in order to gain a better perspective of the state of health of a population as well as the risks they may be exposed to. On a daily basis, some of the tasks that a public health researcher may perform are: Developing new research procedures in order to improve various methods of public health research; Implementing new procedures; Researching health trends within a population; Working with epidemiologists to research any infectious diseases which may place a population at risk. Additionally, a public health researcher might also be involved with: Researching environmental hazards or concerns that may cause a potential public health risk; Finding root causes for different public health hazards or risks that may negatively affect a population; and Researching solutions to various public health risks. A public health researcher is given the task of learning about different public health trends, risks, and hazards and providing these findings to other necessary public health professionals. Often, a public health researcher will be in charge of finding the root cause of public health hazard as well as solutions that can improve the overall health of a community. Public Health researchers are actively working on many of today’s most pressing health issues. Research includes HIV/AIDS, air pollution and respiratory health, insect-borne diseases, health disparities, cancer epidemiology, global health systems, chronic diseases and genomics, among many others. Advances in these areas help to improve the lives of people locally, nationally and worldwide. Health care policy advocacy is the processing of supporting, leading and engaging others to protect the health and legal rights of patients. This involves collaboration with a diverse array of legal, government and health care professionals. The goal of health policy advocacy is to promote effective health care laws, standards, systems and regulations. This means that health policy advocates promote improvements for both external patients and their fellow health care professionals. This often comes in the form of advocating for higher professional standards of health care practices. Every day, patients experience various health care related frustrations and outrages. Patients deal with mismanaged care, malpractice concerns and unscrupulous health care insurance policies. Similar to walking into a mechanics shop, any patient that walks into a health care facility has no control over the resulting medical fees. Health care costs in America are skyrocketing while insurance and hospitals reap record breaking profits. Health care advocates take it upon themselves to encourage reform and collaboration throughout the health care industry. Therefore, anyone can technically become a health policy advocate. That is, any concerned citizen can democratically voice their opinions and advocate for change. However, direct health care industry experience is essential for promoting change. As a result, many dedicated and passionate health care professionals take it upon themselves become involved with health policy reformation. Having professional experience with the realms of law, public policy and the health care are highly recommended. The path to becoming an advocate for health care reform is versatile. Anyone involved with health policy advocacy should have a strong health care background and experience. Keep in mind that anyone can become a health care policy advocate through self-education and local participation in grassroots organizations. 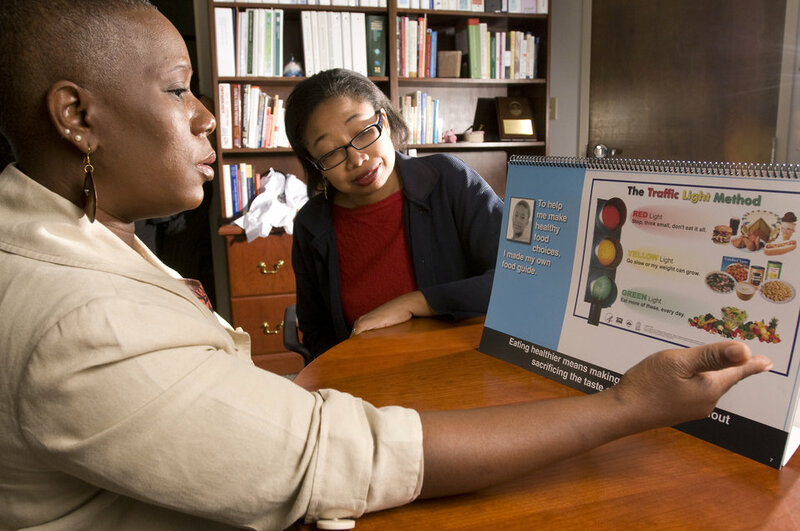 Community health educators teach people about behaviors that promote wellness. They develop and implement strategies to improve the health of individuals and communities. Health educators work in a variety of settings, including hospitals, nonprofit organizations, government, doctors’ offices, private businesses, and colleges. Their work has been proven to increase self-reported health behaviors including physical activity, healthful eating habits, and smoking cessation. Examples of health education topics include: Chronic disease prevention; Nutrition; Physical activity; Smoking cessation; Stress management; Health screenings; and Pesticide safety and environmental hazards (for example: colonias, or rural communities, along the U.S.-Mexico border where families live in close proximity to agricultural fields). Health educators may also educate healthcare providers about community needs, bridging cultural gaps between providers and communities. They often attend trainings on cultural competency so that they may provide health education that is effective for the population they are serving and sensitive to patients’ values and experiences. The overall goal of the field is to have a positive impact on the health of a community by influencing their behavior in such a way that they make the right health related choices. In nonprofits (including community health organizations), health educators create programs and materials about health issues for the community that their organization serves. They help organizations obtain funding and other resources. Many nonprofits focus on a particular disease or audience, so health educators in these organizations limit programs to that specific topic or audience. For example, a health educator may design a program to teach people with diabetes how to better manage their condition or a program for teen mothers on how to care for their newborns. In addition, health educators may educate policymakers about ways to improve public health and work on securing grant funding for programs to promote health and disease awareness. Family violence is a common American tragedy. Assaults by parents, intimate partners, and adult children frequently result in serious injury, even death. Such violence costs billions of dollars annually in social and criminal justice spending. Proven interventions can prevent abuse, identify abuse sooner, and help families survive and thrive by breaking the cycle of violence or finding safe alternatives. Child and family therapists help people manage and overcome mental and emotional disorders and problems with their family and relationships. They listen to clients and ask questions, to help the clients understand their problems and develop strategies to improve their lives. Unlike other types of mental health professionals, they bring a family-centered perspective to treatment, even when treating individuals. They evaluate family roles and development, to understand how clients’ families affect their mental health. They treat the clients’ relationships, not just the clients themselves. 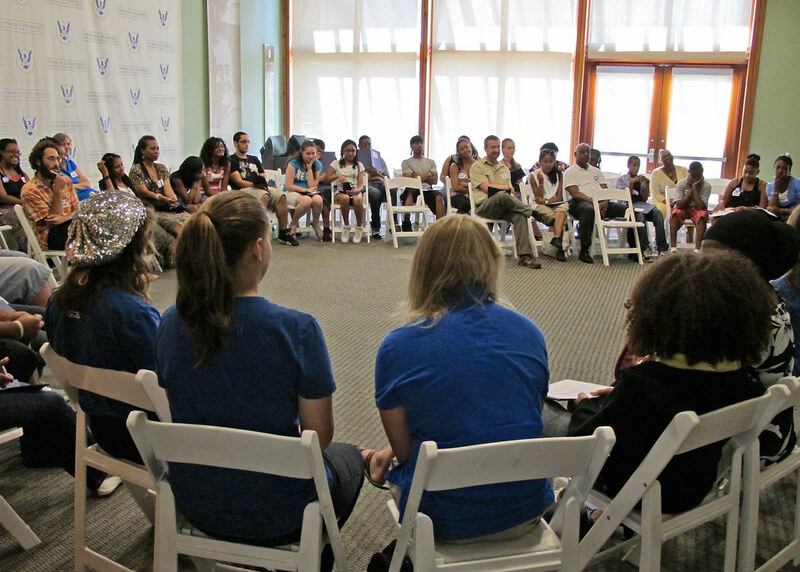 They address issues, such as low self-esteem, stress, addiction, and substance abuse. Families are seen as an integrated, interconnected unit in which psychological functioning is influenced by each and every family member individually and collectively as an entire system. There are several different established approaches within the field including: Functional Family Therapy; Multidimensional Family Therapy; and Multisystemic therapy. In family therapy, there is no traditional identified patient; the focus is on relationship patterns and communication among family members. For example, in family Therapy, when a child has a behavior problem, a family therapist is likely to perceive the child’s difficulties within the larger context of the family system, rather than his/her individual deficits. During family Therapy, therapists avoid blaming any individual family member for the problem, and instead help the family interact in new, different ways that may improve functioning. In Family-Based Behavioral Treatment, parents set a positive example by changing their own behavior to help their children change their behaviors in the long run. An important component of this type of therapy is training parents in child management and problem-solving skills. This treatment has been proven effective by research for obesity or overweight issues in children, as well as for treating anorexia in adolescents. Domestic Violence Prevention Advocates push for changes in policies, institutions, systems, and culture. Policy work focuses on advocating for legislation in state government, educating membership about the policy process, and helping various allies communicate with their legislators. They also provide input on state agency policies and court rules related to survivors and domestic violence programs, as well as participate on state committees and work groups that address a variety of social justice issues. Domestic Violence prevention advocates seek changes to laws in order to create safe, stable, and nurturing environments that make their communities stronger and safer for everyone. They work to create systems that serve the basic needs of all survivors of domestic and sexual violence and collaborate with partner organizations, leveraging resources and shared missions for larger social change. Advocates start from the idea that what surrounds us, shapes us. This means that we can’t solve the problem of violence by educating people abusive behaviors and telling them not to engage in them – because behavior is not driven by facts alone. To be effective, we have to address the cultural conditions that give people permission to exercise power over others, and also the motivations that increase the likelihood that some of us will make that choice. This doesn’t mean that we shouldn’t hold individuals accountable for the harms that they abuse; it just means that in the long-run, we will be most effective at preventing violence when we change the cultural context that enables it. Advocates also train others and, together, seek to reform the legal system to promote equity and safety in all communities. They seek to eliminate violence and promote safe, supported, and respectful relationships. They work for equity, across identities and multiple types of relationships, to ensure that physical safety and emotional well-being are respected in intimate relationships. Domestic Violence Prevention Advocates are working to make safe and respectful relationship behavior the easy and expected choice. To create relationships that are equitable and non-violent, advocates believe we must fundamentally change the ways that we use power in relationships. They work to move from a model that celebrates competition and supports the use of power over others to one that celebrates shared, collaborative, and collective power. Domestic violence counselors support victims and help them develop the skills they need to walk away from abusive relationships and live successfully on their own. They also work to stop the cycle of violence. After all, many people who experience abuse in childhood become enablers, involving themselves in a series of relationships that escalate into abuse and violence. Others become perpetrators. Many more people carry scars from long ago violence. It affects their ability to function normally in the workplace and develop healthy relationships. Counselors help these individuals develop self esteem, identify relationship patterns and potential red flags, and behave with an appropriate level of assertiveness. Many activities may fall under the job banner. Duties may include: conducting intakes and exit interviews, providing individual counseling, running support groups, and making referrals. Also included could be administrative duties like maintaining records and coordinating grant-related documentation. Domestic violence counselors at the master’s level also provide outreach to the community and work with other professionals to expand services. Domestic violence counselors may work at domestic violence crisis centers or social service organizations. They may also support survivors as part of a private practice. Those who work with perpetrators may operate within the justice system. If you are interested in becoming a domestic violence counselor, you will need to decide whether you are interested in working with victims or perpetrators. You will also need to decide what type of support you want to provide and how independently you want to work. The process will vary slightly depending on where you live. Professionals who provide counseling services are subject to the laws in their own state. The highest levels of credentialing require a master’s or other graduate degree. In many jurisdictions, a person is permitted to work for an agency with a lower level of education than they would need to go into independent practice. Agency counseling positions may still be very competitive, and they often go to highly educated individuals who are completing the requirements for supervised practice. The ultimate goal of education about youth violence is to stop teen dating violence before it begins. During the preteen and teen years, young people are learning the skills they need to form positive, healthy relationships with others, and it is therefore an ideal time to promote healthy relationships and prevent patterns of teen dating violence that can last into adulthood. In addition to teaching relationship skills, prevention programs can focus on promoting protective factors—that is, characteristics of a teen’s environment that can support healthy development—and positive youth development. These can also be fostered by a teen’s home and community. For example, higher levels of bonding to parents and enhanced social skills can protect girls against victimization. Similarly, for boys, high levels of parental bonding have been found to be associated with less externalizing behavior, which in turn is associated with less teen dating violence victimization. Most of the handful of programs that have been empirically investigated are school-based and use a group format. Program length varies from less than a day to more than 20 sessions. A few programs frame the issue using a feminist perspective, while others use a more skills-based and gender-neutral approach. Teen dating violence prevention programs tend to focus on attitudes about violence, gender stereotyping, conflict management, and problem-solving skills. Activities aimed at increasing awareness and dispelling myths about violence in relationships are often included in the curriculum. Prevention programs can focus on addressing the emotional, behavioral, and cognitive factors that allow youth to strengthen the expression of positive interactions with dating partners and reduce the probability of power-assertive and violent behavior. Youth are educated about gender-based violence, and develop skills and social actions such as personal responsibility, communication, and community participation. Interventions have demonstrated significantly greater declines in the use of coercive tactics within the dating relationship and enhanced motivation, interest, and understanding of the content of the program. 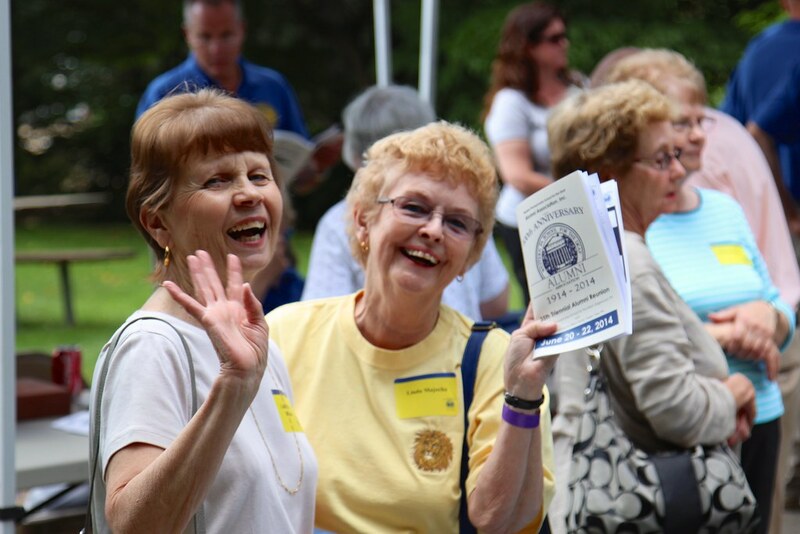 RSVP stands for Retired & Senior Volunteer Program, which offers individuals, age 55 and up, the opportunity to share their experience, skills and time by volunteering for local non-profit organizations. The program aims to meet critical community needs as well as provide a high quality experience that will enrich the lives of volunteers. A successful coordinator has the ability to work with older adults and volunteers in a community service setting. This position requires a person who has the skill to network and collaborate with community service providers as to their volunteer needs. The Program Coordinator is responsible for the recruitment, intake, orientation, placement and comprehensive support of RSVP volunteers. Primary duties include: implementing RSVP volunteer services that fulfill the Performance Measurement guidelines, including marketing and outreach; submitting timely reports as required; support and participate in regional fundraising activities; assist with the annual recognition events. RSVP volunteers are matched with volunteer stations based on areas of interest and skill. Volunteers are able to serve in one or more capacities, with the primary focuses being on areas such as: healthy futures, education, economic empowerment and environmental stewardship. RSVP volunteers uplift communities by allowing existing organizations to strengthen outreach and expand their community services by providing much needed support from dedicated volunteers. RSVP is part of Senior Corps, a national network of service programs that provides older Americans the opportunity to apply their life experience to meeting community needs. RSVP volunteers serve in a diverse range of nonprofit organizations, public agencies, and faith-based groups. Among other activities, they mentor at-risk youth, organize neighborhood watch programs, test drinking water for contaminants, teach English to immigrants, and lend their business skills to community groups to provide critical social services. With a growing proportion of elderly in the global population, the role of ‘informal caregivers’ gains importance. 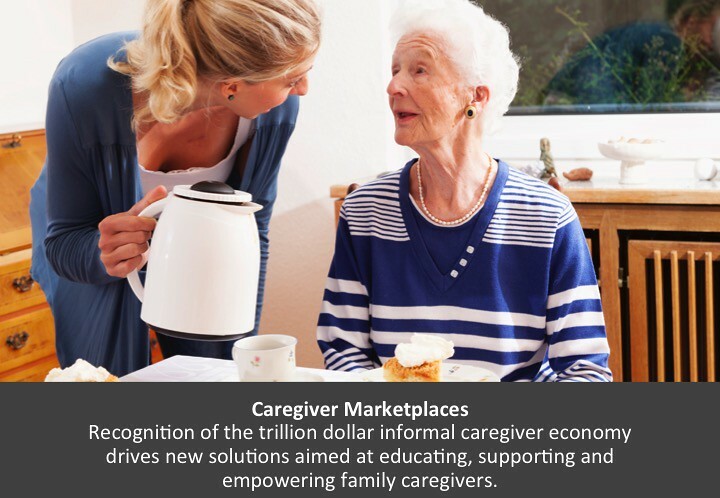 Informal caregivers are unpaid family members or friends who provide assistance to home-dwelling adults with health-related needs or limitations. Internationally, informal caregivers provide important medical support to those with a variety of diseases. While informal caregivers will remain vital to the growing aging population’s pursuit of healthy aging, they often suffer from ‘caregiver burnout,’ a state of physical, emotional, and mental exhaustion caused by their caregiving work. Policy and legislation are needed to diminish the burden on caregivers and to help assure that resources are allocated for these caregivers. Smart policy would lead towards initiatives aimed at providing appropriate social support for caregivers by partnering among local organizations, hospitals, and health authorities. It is now widely understood that Social Work, as a field, must more urgently promote electoral and legislative initiatives that reflect an emphasis on social and economic injustices. Advocacy was identified as a professional role as far back as 1887, and social workers consider client advocacy an ethical responsibility. Social workers are increasing the use of electronic advocacy to influence client issues and policy development. Advocacy for individuals, communities, and systems is not just a suggested activity for social workers—it is a requisite. Although the majority of social workers practice directly with clients, determining how to achieve successful outcomes on an individual basis, their understanding of the challenges facing their clients puts them in an excellent position to advocate for broader social change. Social workers with practice experience make excellent advocates because they understand clearly the challenges facing their clients, including clients’ presenting problems, holistic environmental factors, and client strengths that can be drawn on so as to help them. Many older adults must work longer for economic reasons, and many want to work longer for purposeful engagement. There is particular concern among preretirees who have not saved enough for retirement. However, older workers need and want to work differently than the schedule prescribed by the standard work week. Some need flexibility to meet demands of caregiving or chronic health conditions, and others would like to transition slowly from full-time employment to full retirement. Flexibility can come in the number of work hours, schedule, place of work, and time-off options. There are companies that are experimenting, successfully, with 4-day work weeks, for example. It also can take the form of a transfer to a job with less responsibility and/or less pay. Workplace policies that provide alternative arrangements emanate from the employers themselves; and current estimates indicate that about one third of organizations offer some flexible arrangement. Barriers to implementation of flexible work arrangements include concerns about abuse of such policies, productivity, and fairness. Several specific policy changes include: Expand family and medical leave so that it is paid and accessible to all employees; Pass the Social Security Caregiver Credit Act of 2014 – this law would enable caregivers to count their caregiving toward their employment history and not be penalized for being out of the formal workforce; and Expand the Cash and Counseling Program to cover all low-income caregivers. The expansion could reduce the financial stress of caregiving. At this time of incredible demand for social work services, combined with ever-diminishing resources, the professional role of advocate is more critical than ever before. Advocacy is the cornerstone on which social work is built. It is so important that it is framed in three sections of the NASW (2008) Code of Ethics. As the fastest growing population in the country, older adults face both opportunities and challenges. The support of seniors, especially those who are low-income, is an important consideration for social workers. The doubling of our older population in the next 50 years is significant, but equally, if not more important to the field of social work, is that almost 4.5 million older Americans (10 percent) were living below the poverty line, and an additional 2.4 million (5.3 percent) were categorized as “near poor.” Not surprisingly, the seniors most impacted are women and minorities, and their numbers will likely increase in the coming years. While living in poverty is a challenge no matter your age, older adults who live in poverty struggle with an array of issues unique to their phase of life, such as “rising housing and health care bills, inadequate nutrition, lack of access to transportation, diminished savings and job loss,” according to the National Council on Aging. Social workers play a critical role in advocating for our growing senior population, in particular those living in poverty, and offer support for physical, psychological, social and/or economic concerns. From providing direct services to influencing policy decisions, the field of social work is committed to serving the needs of the older population and promoting greater quality of life with increased independence and dignity. On the micro level, there are a host of direct services that social workers can provide to low-income seniors. The Administration on Aging, the National Council on Aging, and The Office of Nutrition and Health Promotion Programs , are all places to investigate potential careers in areas such as: transportation, adult day care, health promotion, caregiver support, money management, employment services, behavioral health care, and chronic-illness management. Macro-level resources include: The Administration on Aging’s Long-Term Care Ombudsman Program; The Office of Elder Justice and Adult Protective Services (an agency of the Administration on Aging); The National Council on Aging’s Center for Benefits Access. Agencies doing this work include: The Benjamin Rose Institute on Aging; Springwell; Aging with Dignity; and The USC Edward R. Roybal Institute on Aging. Dying is not an easy task, but hospice workers strive to help patients and loved ones through the process. Hospice and palliative care are crucial to families and patients coping with the dying process. During their end of life, individuals should feel mentally, physically, emotionally, socially, and spiritually whole. Hospice care, a subset of palliative care which serves to relieve pain, specifically tends to those who have six months or less to live. Hospice social workers play many roles, the most important of which is patient advocate. Hospice social workers care for, and represent, both the patient and the family throughout the dying process, even assisting with bereavement after the loved-one has passed. Hospice social workers work to stabilize and increase the patient’s physical comfort, emotional comfort, mental state, spiritual state, and social stimulation. The hospice social worker is available to help patients and their loved ones or caregivers navigate the practical and emotional issues that arise during the end of life journey. The hospice social worker is available to assist the patient and family on any number of practical or emotional issues. They can help patients fill out advance directives, help families determine funeral arrangements, offer education about caregiving, connect patients and families to community resources, as well as assess the emotional needs of patients or caregivers. Some of the other daily hospice social worker duties include working with caregivers who could be trying to get food stamps, dealing with transportation and utility issues, and following news stories related to insurance changes that could cause future issues with their patients. A hospice social worker is an indispensable member of a functioning hospice care team. Hospice social workers are constantly working to build community relationships and connect patients with organizations that offer assistance such as Meals on Wheels, Veteran Affairs, adult day care centers and other programs run by local religious groups and community centers. A number of nonprofits are dedicated to alleviating social isolation among the elderly. They provide services to help them live independently as valued members of the community. Bringing generations together in a mutually beneficial partnership of elders, volunteers and professionals, these programs are seeking to provide concrete services and opportunities for connection in order to eradicate the detrimental effects caused by social isolation among the elderly. Clientele range in age from 60 to over 100, vary in physical mobility and economic status, and come from diverse backgrounds. Seniors are referred by family members, neighbors, doctors, community organizations, and often call themselves. Many seniors are frail, isolated, and have limited mobility and/or financial resources. They participate mostly in programs at home, and the goal is to help them maintain their lives in their homes for as long as possible. Some programs match volunteers with seniors for weekly visits, nurturing long–lasting friendships by bringing generations together to share ideas, mutual interests, and experiences. Some programs provide meals to seniors. There are even telephone-based programs that offer the homebound interactive educational courses, support groups, and holiday celebrations over the telephone. There are programs that offer offers exercise, nutrition, and wellness classes. Youth programming brings generations together through a variety of programs that emphasize friendship, shared interests, and the infinite capacity of people of all ages to learn from each other. There are also programs that center around the arts, facilitating cultural experiences for aging adults who would not otherwise have the ability to attend art, music, and other stimulating and life-giving events. These programs aim to be dynamic partnerships of professionals and volunteers dedicated to enhancing the lives of homebound and homeless elders as well as fostering friendship and respect between the generations. Head Start promotes the school readiness of young children from low-income families through agencies in their local community. 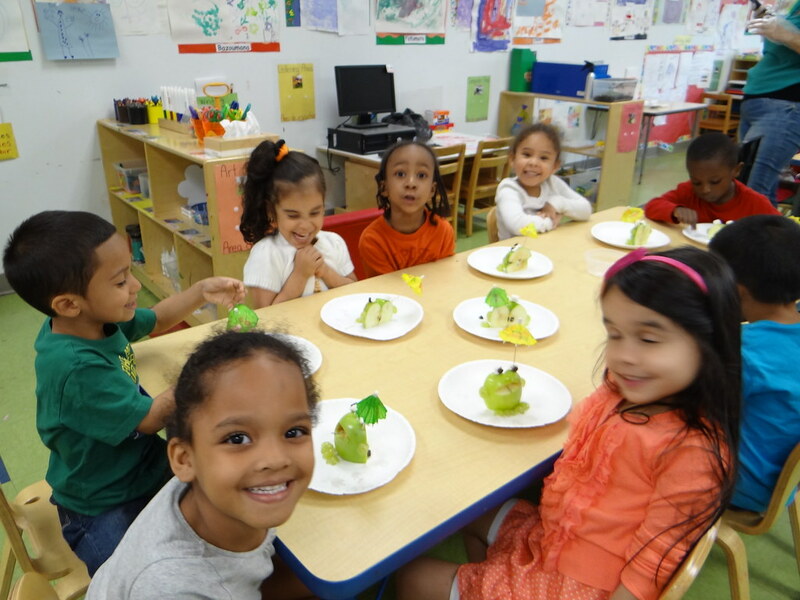 Head Start and Early Head Start programs support the comprehensive development of children from birth to age 5, in centers, child care partner locations, and in their own homes. Services include early learning, health, and family well-being. Research suggests that the sensitive period in which social connections are most beneficial may occur at younger ages than was once thought. For example, some studies suggest that socially isolated infants confront increased risk of impaired neurological development that results in emotional and behavioral deficits and that cannot be fully overcome later in life. Such deficits interfere with the development and maintenance of social relationships. Accordingly children need high-quality care that strengthens social connections to ensure their healthy development. High-quality child care also holds benefits for parents. Access to high-quality child care enables one to properly meet the parental work and social obligations that structure an increasingly complex society. Social connections serve as a powerful mediating variable on parental stress and coping, emotional and physical well-being, and parent-child relationships and functioning. For example, socially connected caregivers, compared with counterparts who do not have anyone on whom they can rely for advice and assistance, respond more sensitively to babies; have higher quality, more engaging interactions with them; have less avoidant babies; and have better mental health outcomes themselves. Access to high-quality child care that strengthens social connections can have lifelong benefits for children, parents, grandparents, and others performing essential parenting roles. Humans are naturally social beings and as much as we may deny it, we need to form connections with others. There is emotional and physical safety in numbers. As a result, when we are alone, we tend to be more vulnerable to the onslaught of psychological diseases. Though isolation is displayed with the same symptoms in people of all age groups, its effects on youths, especially in the teenage age group are a lot worse. Community centers that focus on teenagers give this age group the chance to form meaningful bonds outside of the pressures associated with school. Programs include a wide diversity of activities, including: cooking, free play, media production, music, arts, and sports, all with the goal of bringing youth together in a positive, supportive environment conducive to healthy development. Through the progression of time, the number of people reported to suffer from social isolation has increased in numbers. As the information age has marched on over the decades, the numbers of socially isolated individuals have increased significantly in comparison to what they were thirty years ago. Society has inadvertently lost its rich sense of community, contributing to the susceptibility of youth becoming socially isolated. Consider the many people who would rather communicate with their friends online than with the community around them. The dysfunction then causes long-lasting behavioral issues ranging from cognitive and social problems to having a faulty long-lasting memory. Denial of human companionship could affect health related problems. Issues that may arise include severe cases of stress or psychological breakdowns which send the human immune system into a state of panic. While technology has brought a lot of betterment in people, it has downsides that manifest themselves in social isolation. Youth-focused community engagement is a proven method to combat the ills associated with social isolation. Solitary confinement is one of the most controversial practices in criminal justice. The solitary confinement reform movement generally does not propose total elimination of the practice but instead questions the practice’s widespread deployment and its use as a permanent housing arrangement for inmates. Indeed, some argue that solitary confinement constitutes cruel and unusual punishment and may violate the due process rights of prisoners. 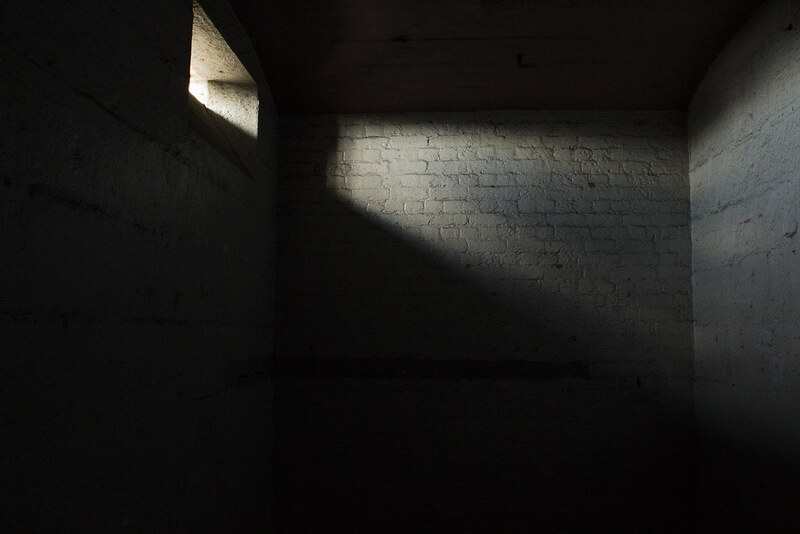 The long-term damage of extended solitary confinement may prevent formerly confined individuals from successfully reintegrating into society after their release from prison, adding to the cascade of negative outcomes that stem from this practice. Proponents of solitary-confinement reform have particularly questioned its use among juvenile populations. Evidence shows that solitary confinement among juvenile populations has resulted in long-lasting mental-health problems. Accordingly, some levels of government have greatly constrained or eliminated the use of solitary confinement among juvenile prisoners. President Obama recently banned the solitary confinement of juvenile offenders in federal prisons. It appears timely to adopt a universal ban on the use of solitary confinement for juvenile offenders. The use of solitary confinement for adult prisoners varies considerably across the country. California has one of the highest prison populations in solitary confinement and faces increasing pressure to review the practice. Given the strong evidence that social isolation is deadly, it is essential and timely that the practice of solitary confinement be challenged. Further, there clearly is a need for more oversight of its use and for particular attention to the mental-health consequences of forced isolation. During the course of a year, nearly 1.5 million Americans will experience homelessness for at least one night. Periods of homelessness often have serious and lasting effects on personal development, health, and well-being. Our challenge is to expand proven approaches that have worked in communities across the country, develop new service innovations and technologies, and adopt policies that promote affordable housing and basic income security. Permanent supportive housing is an intervention that combines affordable housing assistance with voluntary support services to address the needs of chronically homeless people. 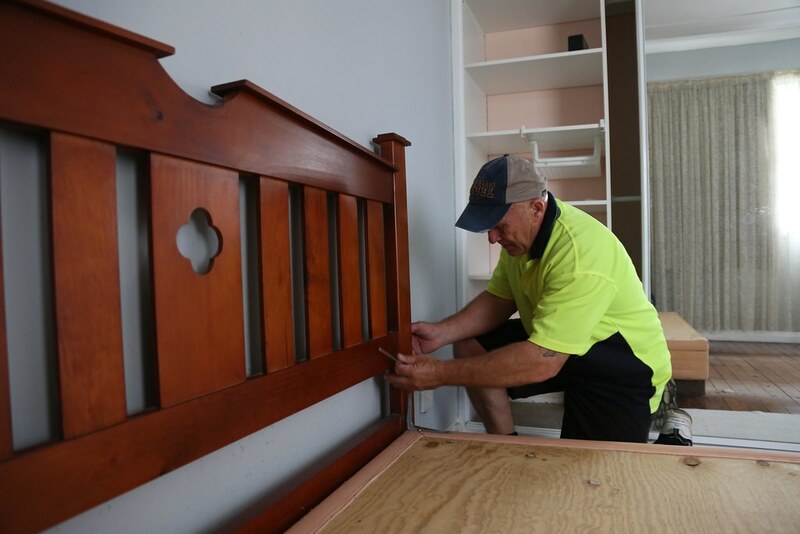 The services are designed to build independent living and tenancy skills and connect people with community-based health care, treatment and employment services. In addition to ending a person’s homelessness and increasing their housing stability, permanent supportive housing has been shown to improve health and well-being. Study after study has shown that supportive housing not only resolves homelessness and increases housing stability, but also improves health and lowers public costs by reducing the use of publicly-funded crisis services, including shelters, hospitals, psychiatric centers, jails, and prisons. There is no single model for supportive housing’s design. Supportive housing may involve the renovation or construction of new housing, set-asides of apartments within privately-owned buildings, or leasing of individual apartments dispersed throughout an area. The Program Director oversees the provision of supportive housing to tenants. This includes responsibility for the general welfare of tenants and assuring that services are provided to tenants within the limits of the program’s mission and consistent with the needs and desires of individual tenants. Essential job functions include, but are not limited to: assuring that the program meets funders’ and the agency’s standards for program census, service delivery, staffing, and record keeping; establishing and maintaining an environment for tenants and staff that is consistent with agency values; monitoring the maintenance of the physical plant; supervising program and front desk staff; collaborating with other departments; and developing and maintaining relationships with community members and organizations. Key areas of focus include: Staff Development & Leadership; Service Provision; Contract Management; and Facility Management. 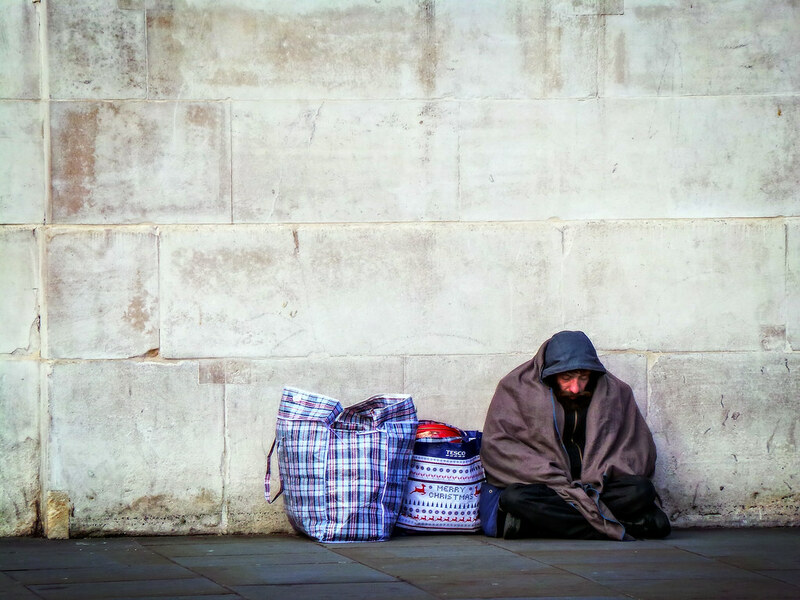 Permanent Supportive Housing initiatives have demonstrated empirical success at both keeping low-income individuals housed as well as reducing the tax burden of emergency services for the chronically homeless population. Housing retention specialists are employed by subsidized housing developments in order to realize those benefits by helping keep residents stably housed. A retention specialist’s duties may include: case management and care coordination; maintaining client records as per funder and regulatory requirements; assisting clients with entitlements; providing ongoing psycho-social support; and making appropriate referrals, both internally and externally. The HRS will visit participants in their homes, working with participants to ensure their basic needs are being met while exploring access to appropriate community services such as mental health counseling, medical care, substance abuse treatment, peer support and any other relevant supports. In addition, the Housing Retention Specialist is responsible for working with Director of Housing Services to ensure that systems and processes are in place for responsive and individualized service delivery for the Housing Team. The Housing Retention Specialist should support other coworkers to help staff engage in best practices in Housing First and case management, while maintaining excellence in case management for his/her own caseload. Retention specialists may conduct trainings and workshops for program participants and staff including tenant rights and responsibilities, housing discrimination issues, and how to effectively communicate with landlords. Additionally, they may assist in the development of, and encourage adherence to, a personal budget through pro-active housing and budget counseling sessions; provide budget counseling and education to assist participants in establishing payment plans for bills and past debts and to assist participants in obtaining and maintaining their housing. Outreach workers are social services employees that do their work in the field. This is because, typically, the clientele of outreach workers are not able to access services they need in the traditional manner. They may be homeless or have run away from home. There might be a medical or mental health issue that prevents people in need of help from getting the assistance they require. Street outreach has long been an essential practice method for locating people who are homeless to connect them to social and housing services. A fundamental, underlying precept of the program involves meeting individuals where they are (physical location such as city streets, as well as mental and emotional state), and building trusting relationships. It is through these relationships that outreach workers are able to deliver services, including assistance with basic needs such as food, clothing, and shelter, as well as crisis counseling and problem-solving. Outreach staff also work to connect individuals with other agencies and organizations in the community. Thousands and thousands of people experience life difficulties such as these each and every day. Often, the people in most need don’t have the money to pay for the services they need, so they don’t seek them out. As a result, outreach workers endeavor to make these services as accessible as possible. Outreach workers help people with a variety of life difficulties, from abuse to family issues and substance abuse to juvenile delinquency. Their primary duties revolve around connecting their clients with local professionals, organizations, charities, and the like, so they can overcome their current life obstacles and lead a happy, healthy life. In this regard, outreach workers offer many of the same services that social workers do. However, outreach workers are usually not as highly trained as social workers in providing counseling and therapy services. The particular day-to-day job duties of an outreach worker will depend largely on the type of clientele they serve and the specific employment setting. Some outreach workers address the needs of families and children while others work exclusively with individuals that have been abused or that have a mental health issue. Regardless of these differences, outreach workers of all types exist to help their clients overcome the stressors in their lives such that they can function at a higher level. This is accomplished in a variety of ways, including offering educational courses and skill-building exercises, organizing community events, advocacy, and mentorship. Housing First is a homeless assistance approach that prioritizes providing permanent housing to people experiencing homelessness, thus ending their homelessness and serving as a platform from which they can pursue personal goals and improve their quality of life. This approach is guided by the belief that people need basic necessities like food and a place to live before attending to anything less critical, such as getting a job, budgeting properly, or attending to substance use issues. Additionally, Housing First is based on the theory that client choice is valuable in housing selection and supportive service participation, and that exercising that choice is likely to make a client more successful in remaining housed and improving their life. Housing First does not require people experiencing homelessness to address the all of their problems including behavioral health problems, or to graduate through a series of services programs before they can access housing. Housing First does not mandate participation in services either before obtaining housing or in order to retain housing. Housing First programs often provide rental assistance that varies in duration depending on the household’s needs. Consumers sign a standard lease and are able to access supports as necessary to help them do so. A variety of voluntary services may be used to promote housing stability and well-being during and following housing placement. Two common program models follow the Housing First approach but differ in implementation. Permanent supportive housing is targeted to individuals and families with chronic illnesses, disabilities, mental health issues, or substance use disorders who have experienced long-term or repeated homelessness. It provides long-term rental assistance and supportive services. A second program model, rapid re-housing, is employed for a wide variety of individuals and families. It provides short-term rental assistance and services. The goals are to help people obtain housing quickly, increase self-sufficiency, and remain housed. The environmental challenges reshaping contemporary societies pose profound risks to human well-being, particularly for marginalized communities. Climate change and urban development threaten health, undermine coping, and deepen existing social and environmental inequities. A changing global environment requires transformative social responses: new partnerships, deep engagement with local communities, and innovations to strengthen individual and collective assets. settlements in environmentally marginal locations lacking basic services. Marginalized communities are disproportionately harmed by urban and regional environmental inequities. In cities that have suffered significant economic and social disinvestment, low income communities of color are particularly vulnerable to new environmental threats because of deteriorated infrastructures, severely reduced social and safety services, and preexisting environmental inequities. resilience routinely focus on the social equity and environmental justice implications of adaptation efforts; Broaden the participation of marginalized and vulnerable communities in resilience and adaptation planning. To ensure that plans are tailored, meaningful, and appropriate, community residents and grassroots coalitions should be involved from the outset in planning efforts. 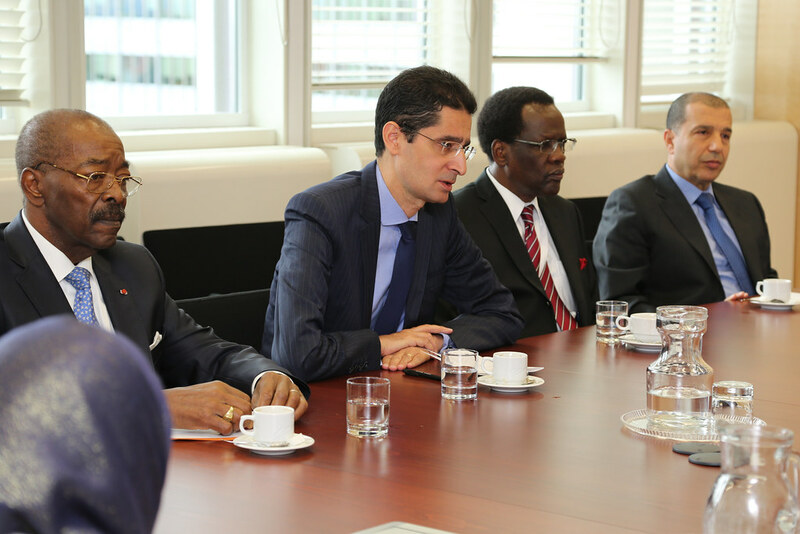 ; and strengthen policy and planning attention to the social dimensions of climate change adaptation. Social agencies, social workers, and community development practitioners should, for example, be included in adaptation planning teams. 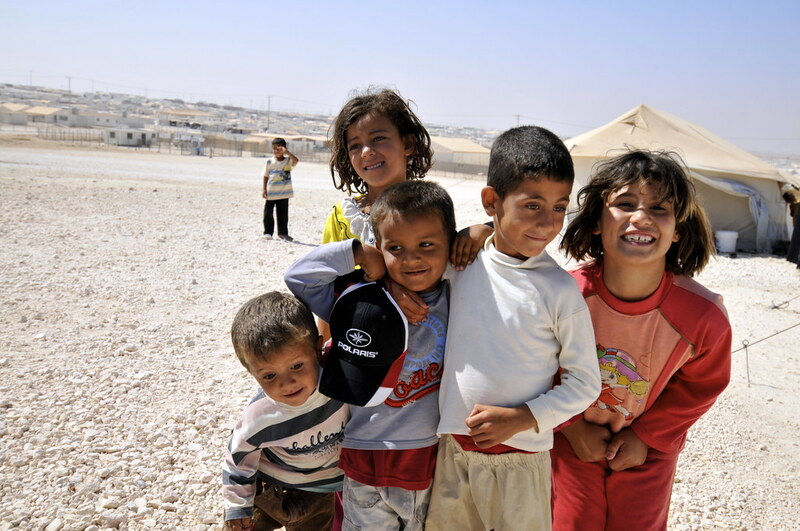 One of the ways the social work profession in the United States relates to the international community is through the long-standing practice of social work with refugees. Refugees are technically any “persons who flee persecution for protection in another country.” Opportunities are available in the United States at the many refugee resettlement programs in various organizations scattered throughout the country. Some of the tasks that a social worker will need to attend to are reception upon arrival, basic needs support for at least 30 days, and case management with referrals to various social service providers. There are many cultural and emotional issues that need to be addressed, as well. Such issues include the discrepancy between expectations and reality; opportunities available; stress and the migration process; adaptation to the cultural norms of the new country; health and mental health issues; language, education, and employment issues; changing family dynamics; and finally, the relations between newcomers and established residents. It is easy to underestimate the difficulties that refugees face in resettlement and adaptation. Almost all face what one Vietnamese scholar called the “seven main agonies” of resettlement: culture shock; a language barrier; collapse of their support systems, including family; loss of status, loneliness, and cultural disorientation; lifestyle differences and value differences; unemployment or underemployment; and often, resulting emotional and mental health problems. Social workers encountering refugees during resettlement or in the years following the official resettlement period will need to assist them in coping with these multiple cultural and emotional challenges, as well as their needs for help with housing, job searching, and other basics. After several years of working with refugees, one can gain the experience that will well position oneself for international humanitarian work—and all without leaving home. Trauma-focused cognitive behavioral therapy (TF-CBT) is an evidence-based treatment model designed to assist children, adolescents, and their families in overcoming the negative effects of a traumatic experience. This evidence-based method has been proven effective for treatment after multiple traumas or a single traumatic event, and therapists trained in TF-CBT are frequently able to help children experiencing the emotional effects of trauma address and resolve these effects. In TF-CBT, interventions specifically tailored to meet the needs of children and adolescents experiencing emotional and psychological difficulties as a result of a trauma are integrated with humanistic, cognitive behavioral, and familial strategies. This treatment is short-term and generally lasts no more than 16 sessions, as more than 80% of traumatized children see improvement in this time. Both parents and children may become able to better process emotions and thoughts relating to a traumatic experience through TF-CBT, which can provide those in therapy with the necessary tools to alleviate the overwhelming thoughts causing stress, anxiety, and depression. TF-CBT can help people who have experienced trauma learn how to manage difficult emotions in a healthier way. A secure and stable environment is provided in order to enable children to disclose details of trauma. It is at this time the cognitive and learning theories of treatment are applied. Children are shown how perceptions may be distorted and are given the tools to redesign those perceptions. TF-CBT is a skills-based model, and it requires the child and parent to practice its components in order to be optimally effective. Parents and children are commonly asked to practice skills at home. The goal of TF-CBT is to allow both child and parent to continue to develop their skills and communication techniques in a healthy manner. The success of TF-CBT relies heavily on a trusting, genuine therapeutic relationship between therapist, child, and parent. The therapist incorporates individual child and parent sessions as well as joint sessions using family therapy principles. Practitioners of TF-CBT strive to give parents the resources and skills necessary to help their children cope with the psychological ramifications of the abuse or other trauma. Climate change brings with it weather “extremes”: summers can be hotter and winter storms can be more dangerous. Because of this, certain community action programs have included weatherization programs in their toolkit of helpful services. They aim to help low-income individuals bring down their energy costs (thereby using less energy and helping the planet) as well as protect their homes from weather extremes. Clients of the program often receive a furnace inspection and an energy audit. Programs will often use private contractors to repair or replace heat sources, install insulation and seal the homes. It is estimated, according to the U.S. Department of Energy, that weatherized homes will save $2.1 billion for low-income families and save 53 metric tons of CO2 emissions per house. Both homeowners and, often, renters are eligible. To be eligible to have a home weatherized, a standard guideline is that household income must not exceed 200% of Federal Poverty Guidelines. Program workers use computerized energy audits and advanced diagnostic equipment to identify energy saving strategies in single-family, multi-family, and mobile homes. Cost-effective weatherization measures and those that are essential for health and safety are then performed, including, but not limited to, installation of insulation, furnace and boiler retrofits, and cooling measures as well can be taken. After the weatherization work is complete, many households experience energy savings of $300 per year, or more. These measures continue to save energy and money year after year, providing a long-term solution to high energy bills for low-income families on a tight annual family budget. Innovative applications of new digital technology present opportunities for social and human services to reach more people with greater impact on our most vexing social problems. These new technologies can be deployed to more strategically target social spending, speed up the development of effective programs, and bring a wider array of help to more individuals and communities. Online therapy is the delivery of mental health counseling via the Internet. People also know it as e-therapy, distance therapy, Internet therapy and web therapy. Therapists and online therapy networks use a variety of mediums such as apps for texting, video chatting, voice messaging and audio messaging. In some rural communities, the nearest psychologist office may be an hour or two drive away. Some people with chronic illnesses or disabilities may not be able to drive or easily able to leave their home. In these situations, Web- or telephone-based therapy may be their only option for help. Studies have proven the efficacy of therapy via the internet to the point where it has become a viable alternative and supplement to in-office therapy. There are even people who can afford and make time for in-office therapy but choose online therapy. In the same way video chatting works best for many clients and therapists, people prefer texting therapy for the following reasons: They already enjoy texting, spend a lot of time doing it and feel texting therapy fits that lifestyle; Texting therapy is similar to journaling or keeping a diary; Therapists and clients can take more time to respond to difficult questions or issues; Some people express themselves better by writing rather than talking; It is easy to look at previous messages and progress; Clients and therapists do not need to take notes. Online therapists are often required to possess: the highest clinical license in your state of residence, allowing independent clinical practice (online therapists only work with clients in the state(s) where they are licensed and allowed to practice independently); a minimum of 3 years of direct clinical experience; and a professional malpractice liability insurance policy. Social workers are all over the spectrum when it comes to the use of technology in their professional work. While some are still reluctant, smartphones and other mobile devices have the potential to enhance therapy in many ways and professionals are only starting to explore these possibilities. For instance, one fruitful area for mobile phone application development: apps to teach specific coping skills, for example, use of soothing imagery and anxiety reduction breath training. Another potential related use is for mood tracking. One existing app provides several categories of symptoms to rate: anxiety, depression, general well-being, head injury, post-traumatic stress, stress, and a custom category that will allow users to create their own scales. It also will graph the ratings, allow you to enter a note for a particular date, and allow the notes to be password protected. It even will allow the user to set reminders to enter a mood rating. 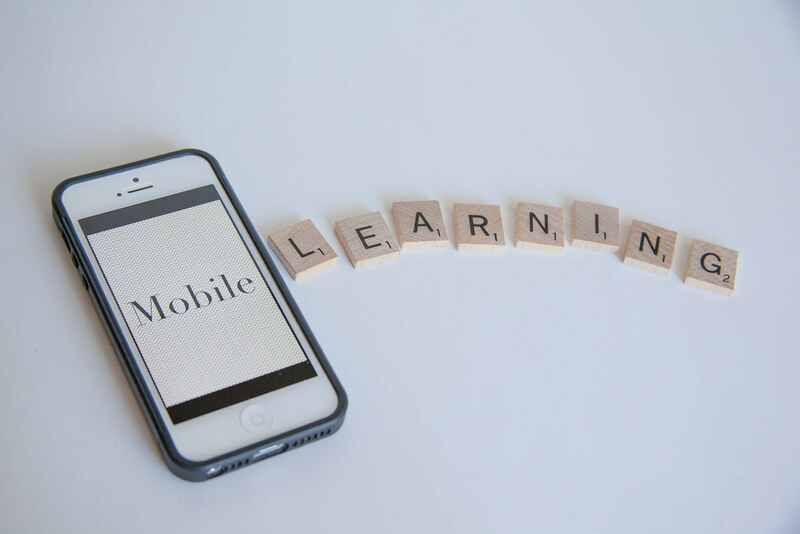 Useful apps for social work are just beginning to come into existence, and the savvy developer with a social work background would be wise to explore the connection. Some therapists find that using brief, repeated mood measurement provides significant value in practice. It provides a way to track progress with enough sensitivity to pick up small changes over time–or the lack of changes. It allows the client and professional both to quickly assess how the week has gone. And it illuminates patterns in symptoms or growth–when tracking these on a graph over time and then noting the timing of significant life/therapeutic events, we can learn things together about what might be happening for a client. For example, we might learn than a person’s anxiety symptoms got significantly worse after a schedule disruption or a change in diet. Measurement scales can be standardized, where the scores have meaning in relationship to some clinical and normative data. Or scales can simply be a self-monitoring tool, a scale that helps an individual rate levels of symptoms, but where the scores don’t have any specific meaning related to clinical standards. Numerous agencies at all levels of government generate administrative records that could be mined to inform program improvements and policy effectiveness. However, these potentially valuable data often remain restricted and in siloes. Such sequestration limits their usefulness for understanding long-term and cross-system outcomes and for discovering solutions to social problems. Moreover, researchers, policy analysts, and even agency leaders lack access to linked data that they could use to address important social issues. A growing number of examples demonstrate the value of linked administrative data in efforts to improve policies, evaluate programs, and inform innovations. for case-matching across systems, and government solutions for open data. Additional investment is needed in technology that can broaden access to linked administrative records for the purposes of improving agency effectiveness, generating program evaluation, and stimulating policy analysis. Federal funding incentives that encourage the use of administrative data for policy analysis and program evaluation would advance the science and speed up the production of solutions to social problems. Government agencies at federal, state, and local levels should remove the barriers to systematic linkage of data across agencies and sectors while also safeguarding personally identifiable information and ensuring nondisclosure of confidential data. The United States has the world’s largest proportion of people behind bars. Mass incarceration and failed rehabilitation have resulted in staggering economic and human costs. Our challenge is to develop a proactive, comprehensive, evidence-based “smart decarceration” strategy that will dramatically reduce the number of people who are imprisoned and enable the nation to embrace a more effective and just approach to public safety. Evidence indicates that incarceration is not effective at achieving public safety through rehabilitation or deterrence but that it is most effective at incapacitation, or removing dangerous individuals from society. However, the majority of currently incarcerated individuals are not immediate threats to public safety; rather, they are incarcerated as a default response to their undesirable behaviors. Local district attorneys/state’s attorneys are directly responsible for the policy and politics of mass incarceration. Big jails and prisons are perpetuating crime instead of solving it, making communities less safe and maintaining an anti-black racial caste system in the U.S. There are 2.2 million people behind bars in the U.S. and 100 million with “criminal records” who are disproportionately people of color. Our cities and towns need experienced and passionate organizers to build and execute local/state campaigns to end mass incarceration, with a focus primarily on community organizing strategies for prosecutor accountability. A sustainable approach to decarceration calls for investment in behavioral health services, public education, economic infrastructure, and other forms of community supports. Such an approach would strengthen community vitality and provide a range of opportunities for communities to prevent and respond to neighborhood crime. These positions work to build a bold working class, the people’s agenda from urban neighborhoods & suburbs to Native American reservations, college campuses, small businesses and rural areas. People of color, women and LGBTQ people are strongly encouraged to become interested. A good candidate for this job will be deeply invested in building lasting community power and the success of local/state affiliate organizations. These positions often require regular travel. The leader organizer will strengthen existing organizing and work to develop new campaigns by providing hands-on organizing training, planning and campaign execution support directly to local affiliate organizations. They will identify new prosecutor accountability opportunities. 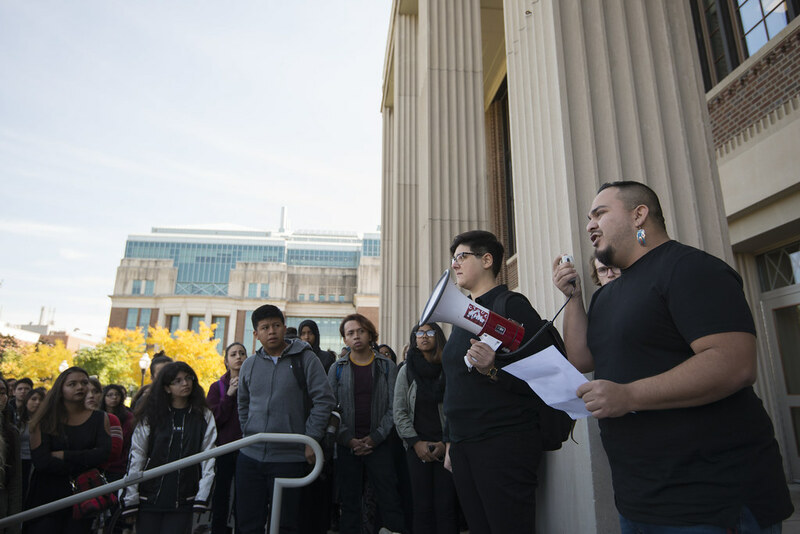 They will also work as part of a campaign team to develop a national committee of organizers and directly-impacted members of affiliate organizations. A growing body of research focuses on the bidirectional relationship between homelessness and prison. That is, people who are homeless are more likely to become imprisoned, and are over-represented in the prison population. Additionally, because of the inadequacy of discharge planning and reintegration policies and practices, both for those who are convicted and those awaiting trial on remand, many ex-prisoners are discharged directly into homelessness. Discharging people from prison represents a failure of policy and practice. For without proper and adequate transitional support (including housing), there is a risk of reoffending and/or enduring homelessness. There is a strong body of research evidence that attests to this. Re-entry planning begins at the time of sentencing. There is a deep need for programming that specifically targets inmates who are likely to become homeless on release. While research shows that for people leaving corrections, attention to discharge planning and support for reintegration to independent living has benefits in terms of reduced recidivism, increased public safety and reduced homelessness, the evidence often collides with ‘get tough on crime’ policies that, in a sense, achieve the opposite. Despite this history, there are programs that provide support based on an understanding of the challenges faced by offenders upon reintegration. In a recent literature review by the AERO project identified the following approaches and services that are believed to be effective in helping inmates retain and/or find and maintain housing upon release. Many of these are uncommon or non-existent. Ensuring that people discharged from prison have access to safe affordable housing not only improves their life chances, but also benefits communities, as recidivism rates decline. In other words, providing housing for released offenders is both a housing and crime reduction issue. Justice reinvestment is reallocating money from the correctional system and using it to fund community programs that will will instead prevent incarceration in the first place. It is a data-driven approach to improve public safety, reduce corrections and related criminal justice spending, and reinvest savings in strategies that can decrease crime and strengthen neighborhoods. The purpose of justice reinvestment is to manage and allocate criminal justice populations more cost-effectively, generating savings that can be reinvested in evidence-based strategies that increase public safety while holding offenders accountable. States and localities engaging in justice reinvestment collect and analyze data on drivers of criminal justice populations and costs, identify and implement changes to increase efficiencies, and measure both the fiscal and public safety impacts of those changes. The U.S. has the biggest prison population in the world, larger than those of Russia, India, and China combined. It is also extremely expensive to imprison so many individuals, many of whom are locked up for non-violent reasons such as drug possession or untreated mental health issues. On average each person in prison costs the government $34,000 per year. The theory of justice reinvestment has been forwarded by the United States Department of Justice through the Justice Reinvestment Initiative, which provides funding for those states that take on this strategy. Fewer than half of states have decided to take on justice reinvestment initiatives. A policy advocate in this area would attempt to organize data into a compelling message, delivered in the most effective way to those in power in the State Department of Justice. The issue of drug treatment and law enforcement is complex. People who commit crimes should be held accountable, and yet only a small percentage of prisoners who meet clinical criteria for substance abuse disorder actually receive treatment for it. Drug courts are an innovative approach, offering alternatives to incarceration or lighter sentences to people who agree to complete a drug rehabilitation program. Drug courts in different jurisdictions may target different populations and use different resources. However, these programs are usually managed by a team that includes law enforcement (judges, prosecutors, defense attorneys) as well as treatment specialists, like social workers and drug rehab professionals. Family members of defendants are also encouraged to participate in hearings and other events like drug rehab graduation. Drug Courts offer alternative sentencing for individuals with drug-related criminal charges, and although there is no mandate requiring a social worker to be a member of the team, social workers have a unique purpose on the professional team resulting from their generalist and specialist knowledge and skills. Most adult drug courts use programs designed to curb criminal recidivism, reduce drug use, and encourage defendants toward full recovery so they can lead healthy lives that do not include the types of activities that will land them back in the criminal court system. Programs include risk and needs assessment, monitoring, graduated incentives, drug rehab, and follow-up. Treatment of co-occurring mental health conditions is also part of many drug court programs. The top 1% owns nearly half of the total wealth in the U.S, while one in five children live in poverty. The consequences for health and well-being are immeasurable. We can correct the broad inequality of wealth and income through a variety of innovative means related to wages and tax benefits associated with capital gains, retirement accounts, and home ownership. Greater lifelong access to education will also provide broader economic opportunities. Unions have a substantial impact on the compensation and work lives of both unionized and non-unionized workers. Unions raise wages of unionized workers by roughly 20% and raise compensation, including both wages and benefits, by about 28%. Unions also reduce wage inequality because they raise wages more for low- and middle-wage workers than for higher-wage workers, more for blue-collar than for white-collar workers, and more for workers who do not have a college degree. Strong unions set a pay standard that nonunion employers follow. For example, a high school graduate whose workplace is not unionized but whose industry is 25% unionized is paid 5% more than similar workers in less unionized industries. In fact, the impact of unions on total nonunion wages is almost as large as the impact on total union wages. Lead Organizers are committed to helping workers win social and economic justice through building strong unions. Lead Organizers are responsible for all aspects of running union organizing campaigns, including targeting, planning, and leading workers and staff. In addition to performing all the duties of an Organizer, Lead Organizers help plan and implement campaign strategy and lead teams of organizers, Volunteer Member Organizers and Organizers-in-Training in running campaigns. Prior to starting, Lead Organizers must have demonstrated the ability to run campaigns and lead other organizers in campaigns, including the ability to lead effectively in the areas listed below: Planning and directing campaigns; Strategic judgment and problem solving skills; Developing campaign message and materials; Organizing and running worker meetings and worker actions; Working with local leaders and volunteer member organizers; and Training and developing organizing staff. The United States faces a shortage of affordable rental housing. The shortage is most severe for extremely low income (ELI) households whose incomes are at or below the poverty guideline or 30% of their area’s median income. ELI households face enormous barriers in obtaining affordable and accessible housing. The data clearly show that they have the greatest housing needs relative to all other income groups. Addressing their needs should be the highest national housing priority. Whether you are a new employee at a housing agency, a student in an urban planning program, or a seasoned affordable housing advocate looking for a refresher on key programs, affordable housing is a worthy and essential challenge. Only 7.5 million affordable rental homes exist for the nation’s 11.2 million ELI renter households, assuming they should spend no more than 30% of their income on housing costs. Not all of these 7.5 million homes, however, are available. Nearly 3.5 million of these households are occupied by higher income households. As a result, fewer than 4 million rental homes are affordable and available for ELI renters, leaving a shortage of 7.3 million. In other words, only 35 affordable and available rental homes exist for every 100 ELI renter households. Advocacy staff teams work together to achieve their goals. Research teams study trends and analyze data to create a picture of the need for low income housing across the country. Policy teams educate lawmakers about housing need and analyze and shape public policy. Field teams mobilize members and supporters across the country to advocate for good housing policy. Communications Teams shape public opinion of low income housing issues. Administration Teams work to ensure the organization remains a sustainable, high-capacity organization. Wraparound is a philosophy of care with defined planning process used to build constructive relationships and support networks among students and youth with emotional or behavioral disabilities (EBD) and their families. It is community based, culturally relevant, individualized, strength based, and family centered. Wraparound plans are comprehensive and address multiple life domains across home, school, and community, including living environment; basic needs; safety; and social, emotional, educational, spiritual, and cultural needs. Another defining feature of wraparound is that it is unconditional; if interventions are not achieving the outcomes desired by the team, the team regroups to rethink the configuration of supports, services, and interventions to ensure success in natural home, school, and community settings. Rather than forcing a student to fit into existing program structures, wraparound is based on the belief that services and supports should be flexibly arranged to meet the unique needs of the students and their families. 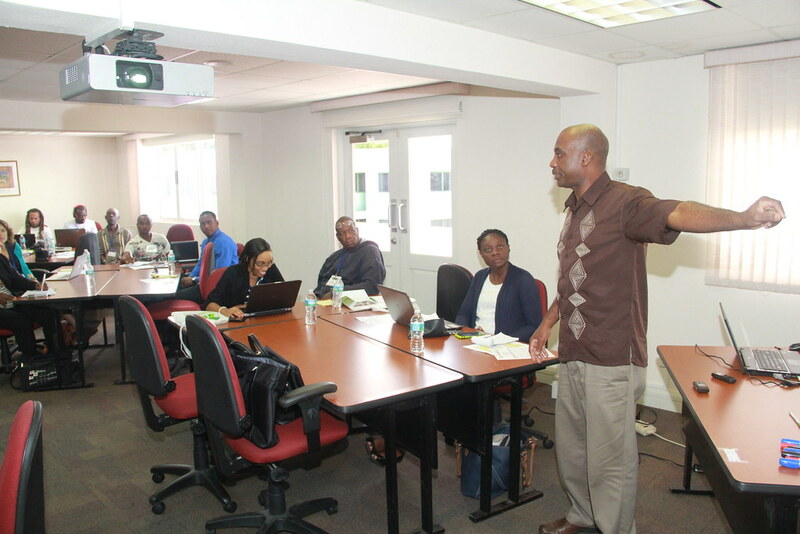 A wraparound facilitator is a person who ensures that the values and steps of the process are delivered with the highest possible fidelity to national best practices as possible, while still allowing for local individualization of the process. The facilitator is not just a neutral coordinator of services but someone who brings added value to the table. The wraparound facilitator helps the family to develop a pro-social narrative as part of the strengths, needs and culture discovery. The wraparound facilitator teaches and supports the family to learn and use the skills to develop their own plans and access their own resources. The wraparound facilitator works with the family to build and strengthen their natural support network. The wraparound facilitator develops a partnership relationship with the family that helps them to address and work through challenges to make changes in their lives. This may include understanding developmental readiness and using teachable moments to surface issues that are important to helping the family reach their long range vision. In order to effectively redistribute private and public money to those affected by poverty, skill is needed to navigate the bureaucracy involved. The director of development is the senior fundraising manager of a non-profit organization. They are chiefly responsible for bringing in revenue streams to a non-profit (grants, donations, special events). The role of a development director is to develop and implement a strategic plan to raise vital funds for their organization in a cost-effective and time-efficient manner. The development director’s primary responsibility, however, is to oversee fundraising, rather than to actually raise money. This person may write grants, research foundations and corporations, and oversee or implement other fundraising strategies, but she or he works mostly behind the scenes, establishing a structure for effective fundraising. The development director may also be responsible for additional financial responsibilities, including developing business plans or strategic plans in collaboration with the board for the future of the organization.The board often offers suggestions and ideas about how to increase the fundraising, including contacts, and the development director chooses how to implement these ideas to maximize inflow while keeping outflow at a minimum and keeping donors happy. A strong board often has a development/fundraising committee, makes personal donations to the non-profit, and assists with annual campaigns. The development director has an outreach role in the organization and often fulfills a public affairs role in addition to office-based work. 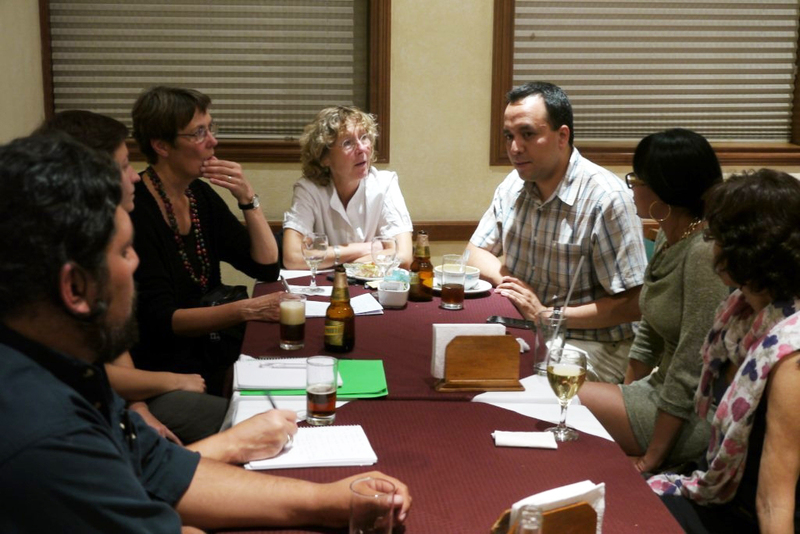 Development directors motivate and satisfy donors, board members, staff and even the press. Many Directors of Development assist with communications such a non-profits annual report, development and communications section of website, newsletters, and donor databases. The structure of a Development Department varies greatly. A Director of Development may or may not have staff reporting to him/her, depending on the size of the organization. Some large non-profits have a development team including a Grant Writer, donor database specialist, Grants Manager, Special Events Coordinator, Communications staff, and Planning Giving staff. In some cases, an Executive Director serves as the lead grant writer of an organization. Some non-profits hire development staff on a part-time or consultant basis, instead of full-time. As the title suggests, the development director is concerned with the growth of the organization. This includes staff, membership, budget, company assets, and all other company resources, to help make the best use of them and maximize the organization’s profitability and profile. Across the country, new partnerships between community development finance and mission-driven organizations are being formed to create healthier communities. CDFI’s are helping form essential connections on the financial side of social welfare. One of the primary ways CDFIs add value to the community sphere is by bringing innovative financing tools to the marketplace. CDFIs’ unique position in the credit market allows them to support projects that mainstream financial institutions may consider too risky to be bankable. CDFIs often provide the gap financing needed for a project, in combination with investments from government, philanthropic, or bank partners. Other times, a CDFI will act as the sole investor. Investment amounts can vary greatly depending on the type of project and the capacity of the CDFI involved; an investment in a health-supporting project in a distressed neighborhood might range from $30,000 for additions to an existing building to $30 million for the development of a large, brand-new community facility. In other cases, CDFI investments may be combined with other sources to create new financing tools. CDFI industry leaders note that the emphasis on community health, for example, has been beneficial for painting a more comprehensive picture of the role that CDFIs play in improving the lives of disadvantaged people and communities. A community development financial institution is a financial institution that provides credit and financial services to underserved markets and populations. A CDFI may be a community development bank, a community development credit union (CDCU), a community development loan fund (CDLF), a community development venture capital fund (CDVC), a microenterprise development loan fund, or a community development corporation. What difference would it make if every child were born with an account that he or she could use at maturity to go to college, buy a home, start a business, or save for retirement? A number of state and federal initiatives and privately funded programs have been launched in the belief that an investment in universal children’s accounts, like investments in early childhood education and healthcare, will produce huge long-term returns for children and for society. Investments in children’s education, homeownership, and small business development and entrepreneurship are made possible by family savings, but the family savings rate is at the lowest level since the Great Depression. The rising cost of post-secondary education decreases access to higher education for low-income and moderate-income families, and post-secondary education is beyond the reach of many. Increasing the number of families saving for post-secondary education for their children will increase the number of children who will attain higher education, and increased educational attainment levels will generate a more competitive workforce, more jobs and innovation, more savings and investment, stronger communities, and a thriving economy. Evidence demonstrates that a savings program tied to financial education can improve family financial responsibility and encourage saving for education, homeownership, small business, and entrepreneurship. The formation of a savings account task force is recommended. The purpose of the task force is to review and make recommendations about children’s savings account program options and to create a strategic implementation plan to create a savings account at birth for every child. Goals of the program often include increasing the levels of financial literacy and savings, increasing the number of children who own assets and who attend post-secondary education or training, purchase a home, or open a small business. Thriving Connections is an innovative campaign to eliminate poverty. A local Guiding Coalition provides the framework to increase the emotional and financial stability of participating families and reduce their use of welfare benefits. Just as importantly, Thriving Connections brings the experience of poverty into the hearts and minds of community members and leaders, taking us one step closer to a national commitment to end poverty. Thriving connections provides support by making the personal and community connections that are important for successful life change. A Thriving Connections Team is a supportive friendship across class lines, made up of one Captain who is living on a low-income and three or four Allies who are living on a middle-class income. A Team typically meets once or twice a month to work toward achieving the Captain’s plans for moving out of poverty. Thriving Connections builds on the power of relationships to bring people together for change. A local Guiding Coalition provides the framework to increase the emotional and financial stability of participating families and reduce their use of welfare benefits. Just as importantly, Thriving Connections brings the experience of poverty into the hearts and minds of community members and leaders, taking us one step closer to a national commitment to end poverty. Thriving Connections Captains and Allies are matched by their talents and interests and are each asked to make an 18 month commitment. Everyone is expected to meet with his or her Team at least once a month. In addition, Captains are asked to attend the weekly Community Meeting. Children’s programming and dinner are provided during this time. It is the connection formed during these meetings with Allies and other Captains that builds respect and understanding, linking people together to end poverty one family at a time. Working childless adults are the lone group that the federal tax code taxes into or deeper into poverty, largely because they are also the only group largely excluded from the Earned Income Tax Credit (EITC). For low-income working families with children, the EITC encourages and rewards work and offsets federal payroll and income taxes. The EITC for childless adults, by contrast, is so small that it effectively does none of those things. 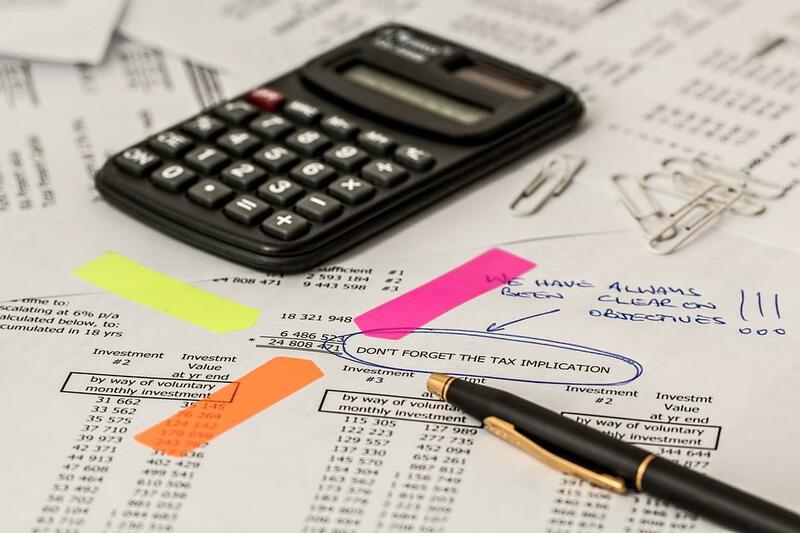 The main reason why so many childless adults are taxed into poverty is that many are ineligible for the EITC, while others receive a credit too small to offset their income tax liability, let alone their much larger payroll tax obligations. The EITC entirely misses low-income childless workers under age 25; they, as well as workers over 64, are ineligible. For those who are eligible, the credit is very small. In large part due to its meager size for childless workers, the EITC does far less to lift childless families out of poverty than it does with respect to families with children. The EITC lifts about 15 percent of otherwise-poor families with children out of poverty, according to the Congressional Research Service. It lifts fewer than 1 percent of households without children out of poverty. Policymakers from both parties increasingly recognize the problems of taxing childless adults into poverty and not extending to them the robust work incentives the EITC provides for parents raising children. Providing a more adequate EITC to low-income childless workers and lowering the eligibility age, as these proposals would do, could have important benefits beyond raising these workers’ after-tax incomes and alleviating their poverty. A number of leading experts believe that an expanded EITC for these workers also would help address some of the challenges that less-educated young people (particularly young African American men) face, including low and falling labor-force participation rates, low marriage rates, and high incarceration rates. practices make it highly likely that there will be greater precarity of work across the lifespan in the future, and new models of providing for sufficient, reliable income will be needed. In a society in which Universal Basic Income is part of normal everyday life we would anticipate that there would be lower rates of poverty, more entrepreneurialism, more artistic adventuring, lower crime rates, greater stability and sustainability, with people working within their communities to develop new ideas. There could be more inclusion, more cooperation, less violence, more respect for those with lower incomes, good mental health and collective well-being. policy could bring is clear. Different models of UBI have shown that it is affordable, provided sensible and progressive tax reform is introduced. UBI can incorporate existing welfare benefits for the especially vulnerable so special payments for housing and disability costs can continue for at-risk groups. UBI would lead to a fundamental shift of power, changing the relationship between citizens, employers and the state. UBI would enable citizens to choose jobs and how long to work. This would result in an improvement of pay and conditions in poor quality jobs that are largely meaningless, as employers would have to work harder to attract employees. Work would become something where people can achieve their own aspirations through meaningful activity instead of simply trying to make ends meet. Employers would get a more motivated workforce that would be more engaged. Furthermore, the welfare and social security systems would be enormously simplified. In the United States, some groups of people have long been consigned to society’s margins. Historic and current prejudice and injustice bars access to success in education and employment. Addressing racial and social injustices, deconstructing stereotypes, dismantling inequality, exposing unfair practices, and accepting the super diversity of the population will advance this challenge. All of this work is critical to fostering a successful society. In the face of new and expanding threats to civil liberties, the American Civil Liberties Union plays an increasingly important role in our society. Under the direction of the Legal Director, the Staff Attorney participates in litigation and legal advocacy to further the ACLU’s mission of protecting the civil rights and civil liberties of all persons. The ACLU is the nation’s foremost defender of civil liberties and civil rights. They work in the courts, in the legislature, and in communities across the state to protect and strengthen civil liberties for all, drawing from principles articulated in the Constitution and the Bill of Rights. The ACLU provides legal assistance in cases when it considers civil liberties to be at risk. Legal support from the ACLU can take the form of direct legal representation or preparation of amicus curiae briefs expressing legal arguments when another law firm is already providing representation. Lobbying is the process of influencing public policy. It involves developing and implementing strategies to persuade those in power. Consistent with the National Association of Social Workers (NASW) Code of Ethics, many social workers contribute to lobbying campaigns to advance the well-being of their clients or to promote social justice; some social workers become professional lobbyists, focusing their careers on government relations work. Successful lobbying involves forming and nurturing relationships with decision makers and generating and sharing information. Key elements of a lobbying campaign include agenda setting, face-to-face meetings with policymakers, coalition building, field organizing, testifying, preparing written materials, and the strategic use of media. Sometimes that can take the form of standing up during a committee hearing to make a case for or against a bill. More often, lobbyists are earning their retainers by visiting lawmakers outside their offices – often after long waits – catching them on their way to or from a voting session, or merely being available “on campus” around the legislative complex when a question comes up. It’s not uncommon to see lobbyists working on their laptops of chatting with colleagues around tables that dot the Legislative Building. Lobbying activity is regulated by federal law; it is important that social workers and their employers understand and comply with these rules, but social workers are encouraged to remain as active as possible within these parameters. Future challenges include the demand for evidence to support policy recommendations and the inadequate numbers of social workers pursuing lobbying as a career. Social welfare research focuses on research identifying and understanding the societal mechanisms at play in the processes of marginalization, poverty and social participation. Persuasive rhetoric and moral appeals have always been used to advocate for social work programs. But while a convincing argument is still useful, it’s the toolbox of science that increasingly tells practitioners and policymakers what interventions and treatments should be adopted and taken to scale. Research is a critical tool for all social workers. Findings from social welfare research have helped scholars understand how to prevent and react to many significant social problems by intervening with the risk and protective factors that precede them as well as intervening effectively after the problem has become manifest. In order for such research to change the prevalence of social problems in society, we need to understand how to deliver preventive interventions in various service settings, to vulnerable populations, and with a well-trained workforce for prevention services. Social work has a long history of leadership in prevention work and is well positioned to respond to these contemporary needs. In a nutshell, research is one of the established ways of systematic thinking and producing new knowledge. Today, studies that use randomized trials, longitudinal data and other scientific methodologies to provide statistically valid results have become a major part of social work research. The social sciences have an inherent obligation not only to keep abreast of current relevant research, but also to be competent enough to apply new treatments and insights within their practice. Social workers are truly dedicated professionals who have to complete a minimum number of continuing education credits to continue practicing. Social workers do not pick and choose the individuals they help, which is why they have to constantly develop cultural competencies to identify the strengths of those they are helping. So, ultimately, research is important to social workers because it helps them be effective. Restorative Justice offers a fresh approach to improving our response to wrongdoing, crime and conflict—in schools, justice systems, and workplaces. Experienced groups recognize the potential of restorative justice and restorative practices and are committed to creating healthy organizations and communities of engaged and caring citizens. Facilitators are dedicated to inspiring and supporting individuals, organizations and communities to embrace restorative community justice values, principles and practices. Restorative Justice principles and practices bring out the best response to wrongdoing, crime and conflicts in a wide variety of settings and create a climate of belonging where all voices are heard and valued. The first step in becoming a restorative justice practitioner is quality training. A good facilitation training course will cover the core restorative functions – assessing a case to see if it’s suitable for a restorative process, preparing participants, facilitating the restorative process and evaluation. The course should give you plenty of opportunities to practice restorative skills (for example, through role play) and receive feedback from other participants and the trainer. Participants will come away with a thorough understanding of restorative justice and restorative discipline and how these skills and processes fit into a group’s overall mission of creating caring climates based on respect, responsibility, and repair of harm. The role is ideal for those who want to learn and practice the principles of restorative conferencing and mediation to handle everyday disputes, wrongdoing and serious harm. as one part of racial justice, and thus we also include work to address root causes of inequities not just their manifestation. This includes elimination of policies, practices, attitudes and cultural messages that reinforce differential outcomes by race or fail to eliminate them. Our society and its institutions do not operate in a color-blind manner. Despite many advances over the past 50 years, we continue to hear new studies that confirm structural racism. The work of undoing racism and achieving racial equity cannot be relegated to actions by people of color; whites are essential in this effort. At times this will mean sharing power and leadership in deeper ways, and taking proactive steps to undo oppression and racism. As a professional association and as agents of change we need to change the trajectory of outcomes for many in our society. We need to put anti-racism up front, and use a racial equity lens, not just in child welfare or criminal justice, but throughout the institutions in which we work. Social work focuses on individual, family and community well-being and on social justice. Achieving racial equity is important for all that we do.